I really hope we don't start to become fatigued by the persistent trend of millenial romance crowding the big screen these days. I'm all for refreshing, quirky romances, but if they're all the same kind of quirky how will we be able to tell them apart? I'm just asking. 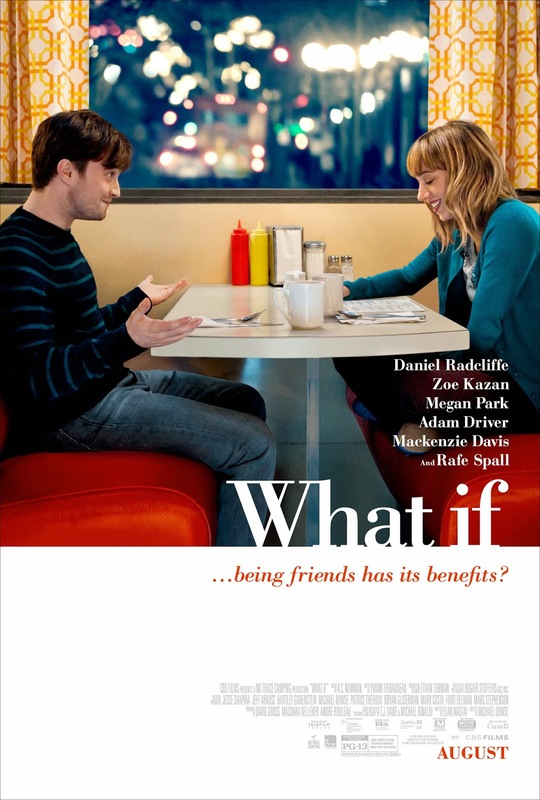 WHAT IF is the story of medical school dropout Wallace (Daniel Radcliffe), who's been repeatedly burned by bad relationships. So while everyone around him, including his roommate Allan (Adam Driver) seems to be finding the perfect partner (Mackenzie Davis), Wallace decides to put his love life on hold. It is then that he meets Chantry (Zoe Kazan) an animator who lives with her longtime boyfriend Ben (Rafe Spall). Wallace and Chantry form an instant connection, striking up a close friendship. Still, there is no denying the chemistry between them, leading the pair to wonder, what if the love of your life is actually your best friend? The ensemble romantic comedy costars Megan Park and Oona Chaplin. We'll get to see a little more from the film when the new trailer hits on May 29th. So far, it seems...ok yet familiar. Again, I like Kazan so I will reserve hope for her. And Radcliffe continues to charm critics with his roles on the stage and screen, so it will be interesting to see their onscreen chemistry. Michael Dowse (Take Me Home Tonight) directed the film with Elan Mastai's screenplay adapted from the T.J. Dawe/Michael Rinaldi play, Toothpaste and Cigars. I hate romantic comedies, but damn do I love Daniel Radcliffe and Zoe Kazan!